I have been conducting ethnographic research in the former homeland of Venda, Limpopo Province, for almost 20 years. I have written on HIV/AIDS education, ARV medication, magic, female initiation, witchcraft, performance, reggae music, traditional leadership, poisonings, the human economy of death and urban youth ethnicity. 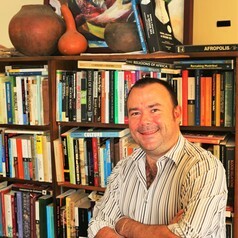 I have a PhD in Social Anthropology from the London School of Economics, which was pubished as a monograph entitled "AIDS, Politics and Music in South Africa" by Cambridge University Press (Hardback in 2011, Paperback in 2014). I am currently researching the history of reggae music in South Africa.